The Lens Flare effect simulates the refraction caused by shining a bright light into a camera lens. The shape of the lens flare can be circular or hexagonal. Custom: Lets you use your own custom art or drawing. Type 1: Circular lens flare. Type 2: Hexagonal lens flare. Lets you apply a normal or screen blending mode to the image. Normal: When selected, this operation will not create any blending mode effect. Screen: When deselected, this operation multiplies the inverted colour of the blending element with the image. This lightens the colour of the overlapping area. Screen is the default blending mode. 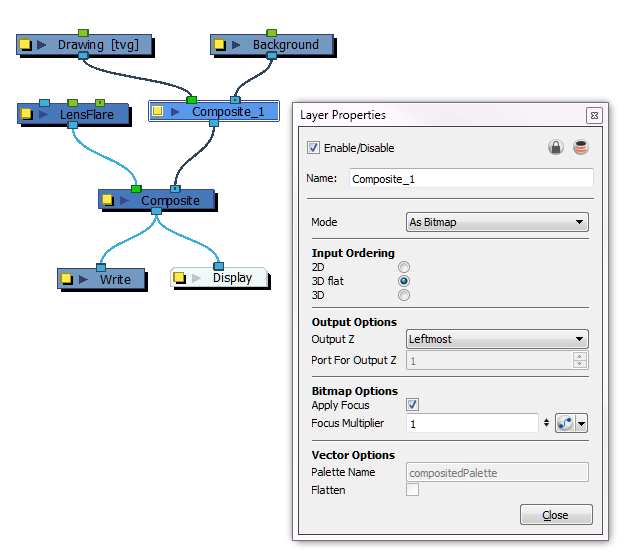 Position X, Y, Z Lets you precisely orient the flare in the x, y, and z axes. Intensity The strength of the lens flare. Red Red values of the image. Green Green values of the image. Blue Blue values of the image. Alpha Alpha values of the image. 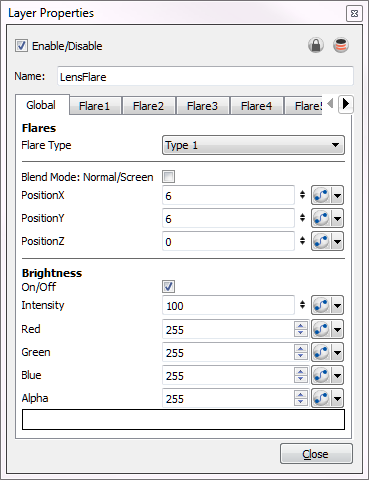 Colour Swatch Opens the Colour Picker where you can specify the colour of the main flare. 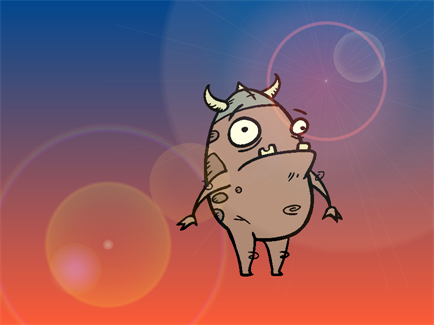 Flare 1–10 Lets you create custom lens flares by associating them with specific drawings. 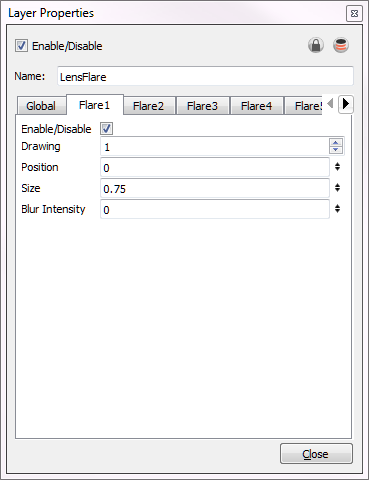 You can create up to 10 different flares. Drawing: Lets you specify a drawing to use for the flare. Position: The position of the flare. Size: The size of the flare. Blur Intensity: The strength of the flare.